If you’re a fan of the WWE, it’s highly likely you would have heard of Paige. Following her success in NXT, Paige became the youngest ever Divas Champion at the age of 21. She then helped shape the women’s revolution, which changed the way the female division is viewed. In quite a short period of time, Paige’s successes are quite remarkable. Fighting with My Family is a brand new biopic based on Paige’s journey to the WWE, featuring a true story consisting of dreams, family feuds, and a splash of comedy. Paige (real name Saraya-Jade Bevis) gets her first in-ring experience at age 13, being thrown into a wrestling match at the family-run business WAW (World Association of Wrestling). Despite not being interested in competing, she quickly learns to love the thrill of wrestling, and it is obvious that a lot of talent lies within. 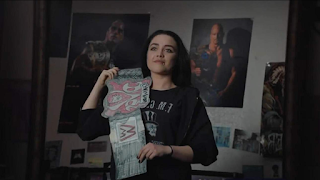 Fast forward to age 18, and along with brother Zak (Jack Lowden) and her parents, Paige helps to train people in the local area in wrestling, as well as putting on shows for WAW. It’s here that the opportunity of a lifetime arrives: a shot at the WWE. When only Paige is selected to go to NXT, a destroyed Zak turns his back on his sister, leaving her lonely and isolated whilst training in Florida. Struggling to fit in, we witness Paige go through some tough mental and physical battles, and a lot of self-doubt. 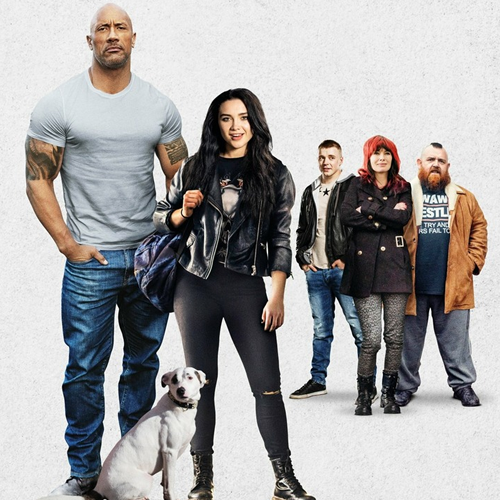 “Be the best you” says The Rock, when Paige and brother Zak ask for advice on how to steal the show, and this is a theme which carries throughout the film. When Paige takes this in full stride, we get to enjoy some inspiring, uplifting moments, all the way up to her debut on Monday Night Raw in April 2014. Florence Pugh is incredible as Paige, blending into the role perfectly, with even the iconic scream sounding like the real deal. As part of her journey to the WWE, Paige battles loneliness and struggles to fit in, scenes which Pugh portrays brilliantly. This is a brutal world where a dream can be killed in an instant, with every move under intense scrutiny. Paige is an incredibly likeable character and watching her become more and more isolated and depressed is heart-breaking and tough to watch. Pugh’s ability to master both intense and comedic scenes should not be understated, as we see in some of the more uplifting scenes. Paige’s relationship with Vince Vaughn’s WWE trainer Hutch Morgan is a particular highlight, featuring both highs and lows. Quick-witted jabs between the two score a laugh from the audience, whilst some of the more tender moments allow Paige to open up to the human side of Hutch. Pugh fits the role of Paige perfectly. A mixture of young talent and some familiar faces complete the rest of the cast, with big names including Nick Frost, Lena Headey and Vince Vaughn featuring. Producer Dwayne ‘The Rock’ Johnson also has a couple of scenes in the film, due to his involvement in Paige’s WWE journey. The Rock broke the news to the real Paige that she would be making her WWE debut in 2014 on the following nights Monday Night RAW, and had been aware of the Bevis family since seeing a documentary focused on them in 2012. The debut would fall the night after WrestleMania, WWE’s biggest annual event, and Paige would win her first title there. It’s brilliant to see a scene of such importance re-enacted in the film, featuring the man who delivered the news himself. There are even a couple of WWE cameos in the film, such as Sheamus and the Big Show backstage, all of which help add to the authentic feel of the movie and are real fan-pleasing moments. Writer and director Stephen Merchant deserves a lot of credit for the way he showcases the gruelling pain that people involved in wrestling must endure. Wrestlers are shown being thrown around, taking a bowling ball in the groin, and even being thrown onto a canvas covered in pins. Yes, this gets a few gasps in the cinema, but this is exactly what wrestlers must put their body through many times a week, all in the name of entertainment. Similar to a stage play, each person must hit every move perfectly, engage with the crowd, and always be on top form. The pain is all real, and Merchant must be commended for getting this across to cinema viewers. “It’s all fake isn’t it” is a line muttered near the start of the movie. Not at all. But alongside this, Merchant has added a coat of comedy to the movie, one which helps make the film feel very light-hearted and a joy to watch. Whilst never overshadowing the important emotional scenes, the comedy adds to the story and is genuinely funny. The dynamic amongst the Bevis family is hilarious, with a family meal featuring Zak’s girlfriends’ parents a highlight. When dad Ricky is ordered to put a shirt on for the meal, he suitably wears a Norwich City football shirt. One of the locals Paige is training on how to perform headlocks is ordered to do push-ups for “having a stiffy”. And the Rock dropping in an insult about Vin Diesel is just perfect, all of which makes Fighting with My Family a really fun ride. 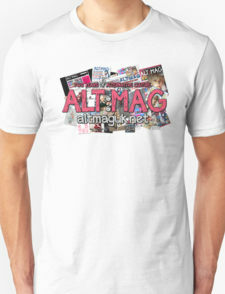 Having an interest in WWE prior to watching Fighting with My Family, I found myself engrossed and wanting more. The movie ends following Paige’s WWE RAW debut, where she claimed the Divas Championship. Whilst the credits reference Paige’s achievements following this night, an epilogue featuring Pugh re-enacting the events in the following years would have been great to see. Clips alongside the credits of the real Paige are a nice touch in place of this, however. There are also some minor deviations as to how Paige won the title in real life, although I feel that these actually benefit the movie by adding to the suspense. Fighting with My Family is one of the most enjoyable films of the year so far, and one which I cannot wait to experience again. Merchant has successfully crafted an accessible film, one which is uplifting and at times very relatable. Sure, fans of the WWE and Paige will likely take away more from the film. The moments will have a greater meaning, knowing the success Paige had in helping progress the WWE forward. But like Rocky, this is an underdog story, full of inspirational moments, featuring an important message of being yourself. With all the positive changes going on in the WWE at this moment as a result of Paige’s involvement in the women’s revolution, there is no better time to experience her story.